It is not uncommon for patients to describe a stiff knee in the immediate postoperative period. While they believe their knee is “stiff,” often these stiff knees have ROM of greater than 120° flexion. 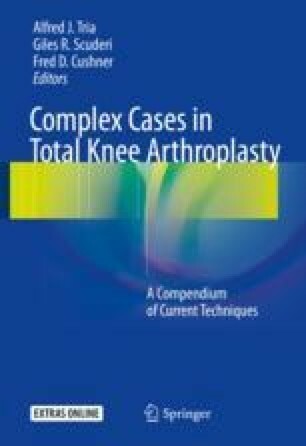 For the sake of discussion, this discussion will focus on knees with less than 90° of flexion in the immediate postoperative period. Lotke et al. were a bit more restrictive in their definition of stiffness. They considered a knee stiff if there was greater than a15° flexion contracture and less than 75° of motion. With this definition, an overall incidence in over 1000 consecutive knees was 1.3%. As expected limited preoperative ROM was more likely to have postoperative limitations in this series.